Distributed on board Aviateca, the Guatemalan national airline company's international flights. 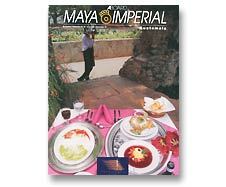 Maya Imperial publishes its articles in Spanish and English. If you would like to receive an e-mail when the FREE PDFs is available, please enter your e-mail and name below.